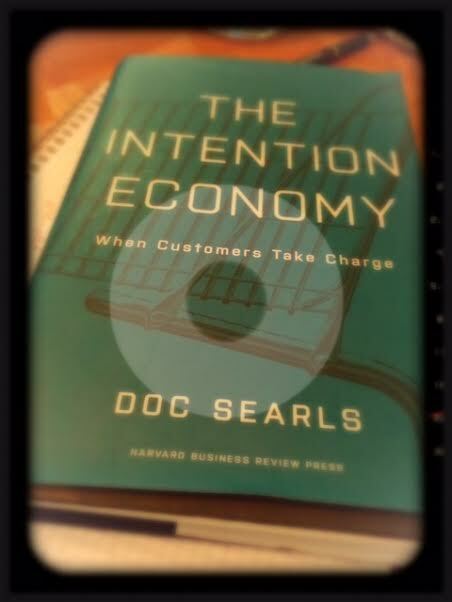 Read ‘The Intention Economy” by Doc Searles, it inspires hope for customers in the not so distant future. As marketing and research departments look to big data to predict how we want to spend our hard earned cash, we are looking to get personal. Personal in a way that we the individual can set the terms, and just advertise for what we want. Think of yourself as a business that puts out a request for a product or service and sellers respond or compete for your custom. Let me put it more simply. Imagine I am planning a vacation; one week in August with three of my best girl mates; destination-beach, and hotel with a spa, all for a reasonable budget . Forget browsing for full package holidays, car rental, flights, comparison websites, travel agents etc. all I want to do is advertise and let the sellers come to me with an array of options – I pick the best one. Job done! I am really looking forward to reading all the other possibilities, using our data as the tool, I also look forward to sharing more with you! The intention economy makes a lot of sense. I’ll definitely pick up the book. Thanks!